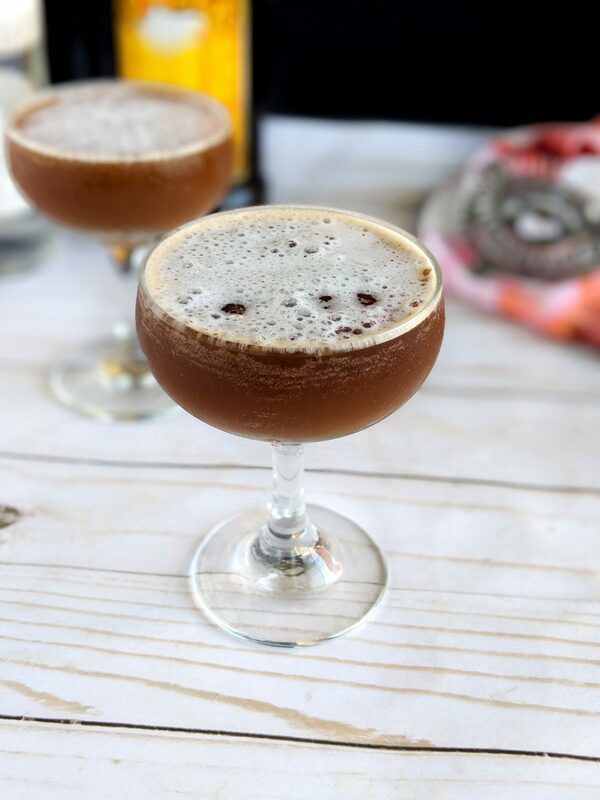 This Mocha Espresso Martini is the perfect blend of chocolate and coffee liqueurs chilled in a coupe glass. 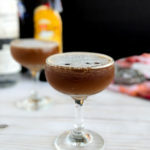 This brunch cocktail is a nice change of pace from the classic Mimosa for a morning cocktail. When we first moved to Houston I found this bar down in Midtown called Double Trouble. It’s a coffee shop meets cocktail lounge where you’ll find people typing away in the mornings and throwing banter with a friend in the evenings. Upon our first visit I was introduced into the world of coffee induced cocktails. Originally I didn’t think I’d like the stuff because I’m a add everything into coffee to make it not taste like coffee type of gal. Oh how very wrong I was. There is something about the bitter but smoothness of coffee that goes with alcohol better than I could have ever predict. I would even dare say it’s a better brunch cocktail than a Mimosa but I know that will rile a few feathers. Since Mother’s Day is this weekend and we all know Moms are fueled off coffee, this seemed perfect for the occasion. Wether you are brunching with Mom and a DIY MOM-osa Bar or you need a little pick me up with dessert. 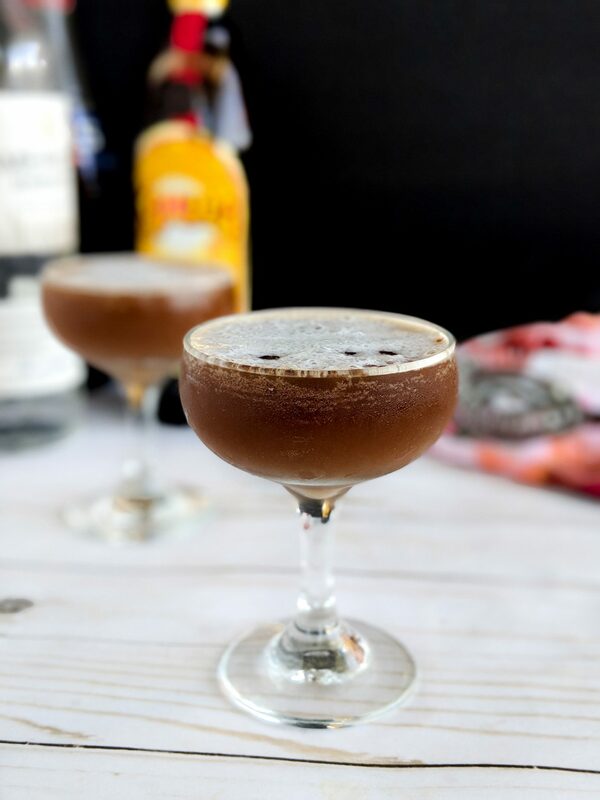 This Mocha Espresso Martini will be sure to impress! It’s smooth like coffee but is balanced with a little chocolate sweetness. I recommend pairing it with buttery croissants or orange glazed cinnamon rolls. I love cocktails that easy in the mornings. First you start by brewing a shot of espresso (1 ounce). 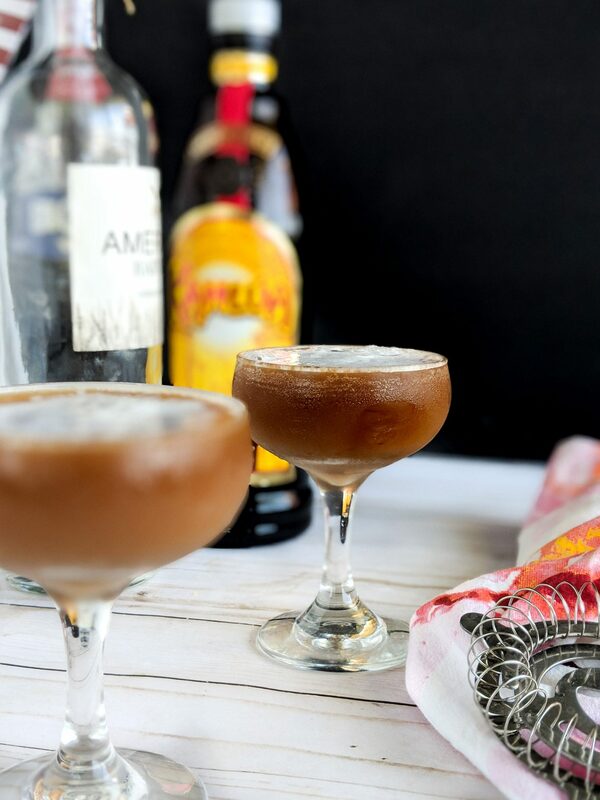 If you don’t have espresso for this martini, just brew coffee as strong as you can get it and us 1/2 ounce more of coffee & 1/2 ounce less of vodka. We have a Ninja Coffee Bar and I brew on the “speciality” setting for this. Though I’ve totally got Honey on repeat notifications for when the Breville Express Espresso goes on sale. Though if you have an expresso machine you love, tell me all about it in the comments below. After you have your 1 ounce of espresso made let it sit to cool while you get your other ingredients together. Into a shaker filled with ice add in 1-1/2 ounce of vodka, 1/2 ounce of coffee liqueur, and 1/2 ounce of cream de cocoa. Pour in your espresso shot and shake vigorously for 25 shakes. Let it sit for about 10 seconds and then strain into a chilled coupe or martini glass. You can scoop any foam out of the shaker and top the martini with it. You can also froth milk and gently scoop some froth on top. Serve immediately! Brew your Espresso and set to the side to cool. Into a shaker filled with ice add in the vodka, coffee liqueur, and creme de cocoa. Finally add in the espresso and top your shaker. Shake vigorously for 25 shakes and letting it settle for 10 seconds. Strain into a chilled martini or coupe glass. Top with remaining foam in shaker or freshly frothed milk. Serve immediately. Use 1.5 ounces strong coffee and only 1 ounce of vodka (instead of the 1.5 ounces of vodka) in this recipe. Espresso martinis are so smooth and rich. 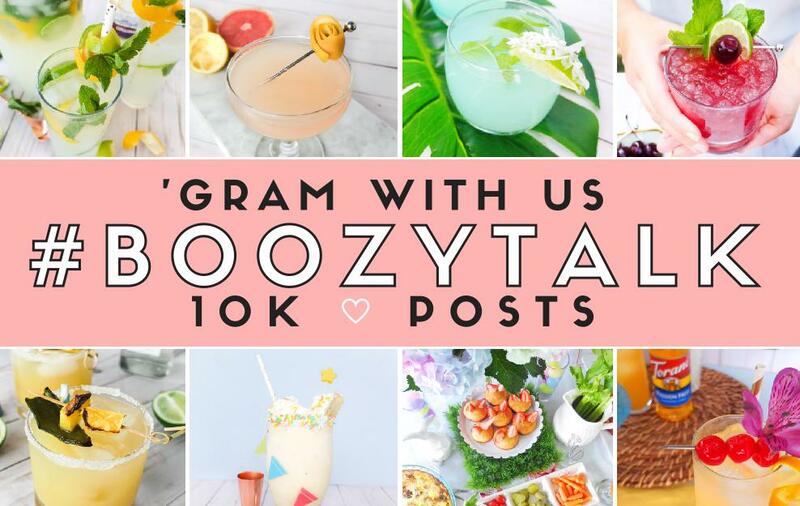 They really are the perfect brunch cocktail, especially with big meals. Adding in a little chocolate is just a bonus to the whole thing! Though be prepared to be wide awake if you drink them on an empty stomach! How are you celebrating Mom this weekend? Will you be going out to brunch or making your own? While I can’t be with my Mother anymore, I’ll be toasting one to her and all the wonderful memories we had together. I hope you have a fabulous weekend with your Mother or if you can’t be with her, I hope you have a fabulous weekend celebrating her in the ways you can. Cheers my friend! Until next time! 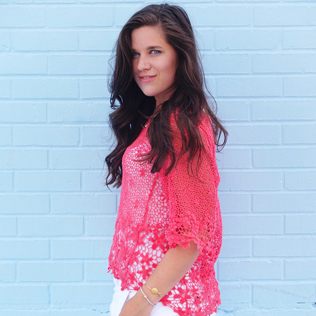 MAKE SURE TO PIN IT TO PINTEREST!